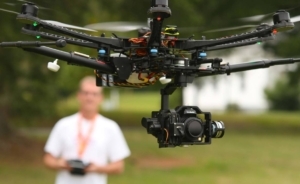 Drone cameras have a variety of uses and can be perfect for getting video from up above. VideoProductionCompany.net has a multitude of drone set ups you can rent or you can hire our videography team to shoot your film or video for you. We also have drones that are perfect for all levels of experience and skill levels including professionals and novices. The drones we have specifically are DJI Phantom, the FreeFly Tero, Quadcopter, and the Blade 350. No matter how big or small your project is, VideoProductionCompany.net can get you the right equipment, personal, and the help you need to exceed your expectations. If any of the drones above sounds like a drone you need or want to rent or have the help of our videographers, contact our offices today to get a quote.